Being selected to visit Bangkok as the representative of the Y Peer network of India was my exciting moment of the year! Thanks to support from Pravah, I geared up for my work trip at a destination known for the most amazing holidays. No one at Y Peer Network finds their ‘work’ a chore! The network helps youth like me to connect with their counter parts from dozens of countries and hundreds of youth clubs and organizations, with thousands of members around the globe. The fun part is using the latest trends in entertainment and social media to promote health and prevent HIV infection amongst young people. Y-Peer currently operates in 48 countries by partnering with local, regional and national organizations to bring about positive social change. Check out the Y Peer website and their Facebook page. 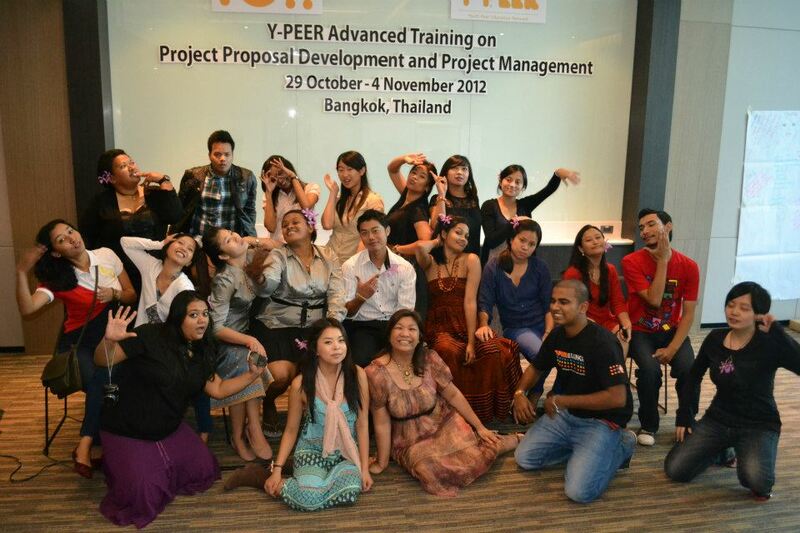 The training program at Bangkok helped Y Peers build skills needed for successfully designing project proposals related to peer education for sexual & reproductive health promotion and HIV prevention in developing countries. The training from day one was very effective and fruitful, every day I learnt new skills. To keep us fully engaged, the content of the training was integrated with many fun filled activities along with practical exercises to apply our knowledge. The most important area of my interest was doing a logical framework analysis, including monitoring and evaluation, developing vision, mission, goal and objectives. I intend to use all the things I learnt from the training for the betterment of Y Peer network as well as other endeavors related to youth networks and my own organization. Apart from the subject related education I learnt lots of new activities that can be used in various training programs and made many new friends. There were participants from ten Asia Pacific countries, their cultural diversity and different types of problems youth had in those countries were brought into discussion, which helped me learn new strategies and ways to continue the network. I was happy to disseminate what I could to the group and also take away a lot of learning. I got an opportunity to conduct a session with the group on unlearning i.e. the Zen master’s story. It really helped the audience leave their facilitator’s hat and wear the participant’s hat. It was well appreciated and the participants said they would be keen to replicate it back in their own countries. Back home, I look forward to expanding the Y PEER India network and get more funding in order to sustain the network and involve more people. There are multiple challenges I need to overcome – garnering support from funding organizations, strengthening connections between Focal Points and also aim to organize a Training of Trainers in the country. This is a new project I am determined to succeed at – the seeds of knowledge were sown in Bangkok! Well done.,u were one of best of the training participants. This is an interesting & very innovative story! Megha,keep up the great work & spread the ppdm gospel in your community.